I love the color and prints of Ankara fabrics, but I generally prefer knits to woven. When I do choose wovens they are more often slinky or drapey such as a challis or crepe or light like a seersucker or batise instead of crisp like 100% cotton. That hasn’t stopped me from using African print cottons (see this bomber jacket, this romper or this tunic) but it does stop it from being my go to fabric for projects. So you can imagine my excitement when I was found out one of my local stores was carrying kente and African print knits. This kente print knit feels like a double brushed poly as it is very soft on both sides. I debated whether to make this split side tunic or a bodysuit. I still want a bodysuit, but I do love this tunic and I will definitely be making more. I wore this to a local Sip and Sew hosted by TopStitch Studio and Lounge (shout out to Leigh who took some of these photos) and received several compliments. I had a great time hanging out with some other creatives. I stopped in to cut out a project I plan to wear to the On The Run II show this Saturday, but other ladies (and GUYS) were there to sew or hand embroider or just shop! Eight sewing machines are available on a first come, first serve basis and they have 3 cutting surfaces where you can cut your fabric or patterns. TopStitch holds these Sip and Sew’s every Wednesday from 6-8pm and they are absolutely FREE! Did I mention you can BYOB?! 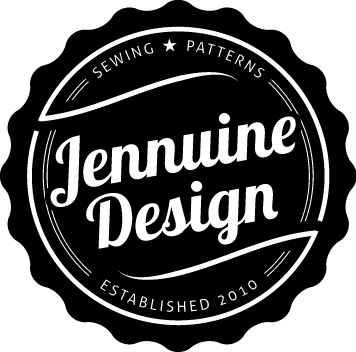 So if you’re in the Atlanta area stop by any Wednesday evening and let them know Tiffany from TipStitched sent ya! Back to this tunic…This look can easily be creating using any bodycon dress or fitted tee pattern. If using a t-shirt pattern simply extend the top to the desired length (mine is midi but yours could graze the ground if you choose). Measure from your waist to your desired length and transfer that to your pattern. If you are starting with a midi length bodycon dress, you’re good to go. If not, add length to the hem. Sew the shoulders, neckline and sleeves of the top/dress as usual but only sew the side seams to about the waist line. Try it on and make sure you like the height of the slit, adjust if necessary. Once your satisfied, use a narrow hem to finish the raw edge of the remaining side seams and hem the bottom. Voila! You’re done! As you can see you can layer this tee over shorts, jeans or leggings and pair it with wedges, heels, sneaker or boots! It’s a great transition piece for fall. This piece will be the first piece in my Fall collection once I reopen my ETSY store!